Posted on February 22, 2019 | Comments Off on What is Inflammaging? As one of the most intricate and complex biological phenomenons, aging is often termed “senescence”, which literally means to grow old. While theories abound as to why immune system efficiency decreases with age, some research suggests that just as other bodily cells become senescent, immune cells do as well. Seen as one of the hallmarks of age progression, senescent cells do not divide or support their respective tissues; instead they emit a range of potentially harmful pro-inflammatory chemicals, encouraging nearby cells to enter the same senescent state. These “death-resistant” cells degrade tissue function, increase levels of chronic inflammation and may eventually raise cancer risk. Senescent cells normally destroy themselves through apoptosis, programmed cellular self-destruction that occurs as part of the controlled, predictable and normal routine of an organism’s growth and development. In apoptosis, proteins within the cells break down the cellular components necessary for survival and spur the production of enzymes that destroy DNA. The shrunken cells send out distress signals that are answered by macrophages, scavenging white blood cells that clear away cellular debris, ideally leaving nothing that can cause further damage. However when the immune system weakens with age, significant numbers of senescent cells can escape the cleanup process. As a consequence of inappropriate cell destruction and clearance, cell debris accumulates with age, setting the stage for persistent inflammation. Chronic inflammation that accompanies aging, known as “inflammaging”, is believed to be a significant risk factor for the development of age-related diseases. In other words, chronic inflammation correlates with the downregulation of the innate immune system and may also drive the aging process itself. During the aging process, alterations in the innate immune system may also impact adaptive immune changes, which may explain the increased incidence of infections, cancers and chronic diseases in older persons. It has yet to be determined whether diseases are caused by inflammaging alone or immunosenescence alone. Yet, researchers propose that inflammaging is accompanied by immunosenescence and that they occur together. 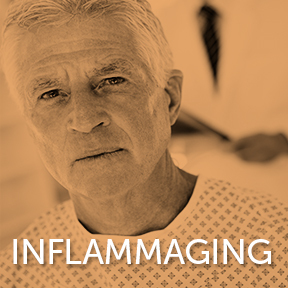 As chronic progressive inflammation is a main feature of the gradual aging process, managing and reducing inflammaging is a potential therapeutic approach for treating and preventing age-related diseases, which often originate in mid-life. Poor diet, a sedentary lifestyle, persistent stress, environmental toxins and second hand tobacco smoke all contribute to inflammation. Those who follow the standard American diet of refined, processed and manufactured foods may exist in a constant pro-inflammatory state. A high sugar and processed food diet feeds harmful gut microbiota that play a central role in inflammaging by releasing pro-inflammatory chemicals. An anti-inflammatory diet positively influences the microbiome by emphasizing fresh foods, whole grains, seafood, beans and legumes, thereby reducing inflammation and providing steady energy, as well as omega-3 essential fatty acids, dietary fiber, vitamins, minerals and protective phytonutrients. Zyflamend™ Whole Body by New Chapter®: This time-honored, whole body herbal formula is intended to balance and support the body’s natural healthy inflammatory response, as well as address minor pain and stiffness. Ingredients include turmeric, ginger, holy basil, rosemary and oregano. Gluten free, Non-GMO vegetarian formulation. Immune Support, Q. by Quantum Nutrition Labs: This live-source botanical and phytonutrient formulation is designed to benefit the immune and cardiovascular systems. Ingredients include medicinal mushrooms, quantum state olive leaf extract and more. Artificial ingredient free, vegan formulation. AntiOxidant Formula by Pure Encapsulations®: AntiOxidant is formulated with a broad spectrum of antioxidant vitamins, minerals, botanicals and phytonutrients to help protect against cellular free radical damage throughout the body. Gluten free, Non-GMO, hypoallergenic formulation. Vital Clear® by Vital Nutrients: This full spectrum formula provides quality macro-, micro- and botanical nutrients to support a healthy inflammatory response, as well as promote detoxification. Free of gluten, wheat, dairy, soy, egg and sugar. Comments Off on What is Inflammaging? Statistics show that as many as 33 million Americans have symptoms of a condition known as overactive bladder (OAB). However, the number of men and women with OAB symptoms may be much higher, as it appears many are too embarrassed to share their symptoms with their healthcare provider, or are unaware that OAB does not have to be accepted as a natural consequence of aging. 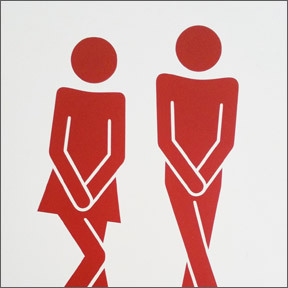 Normal urinary frequency averages 6 – 7 times in a 24-hour period. Because everyone is different, frequency of 4 – 10 times can also be normal, if an individual is comfortable and has no symptoms of urgency or incontinence. If the bladder feels full but only a miniscule amount of urine is released, or there is burning or discomfort with urination, it can signal a bladder, kidney or urinary tract infection (UTI). Frequent urination may be the result of caffeine, alcohol, and fluid intake, medications or side effects of medications, stress, UTIs, and certain chronic health conditions, such as diabetes, Parkinson’s, or multiple sclerosis. Although menopausal women and men with a history of prostate problems are at greater risk of OAB, the condition generally develops without cause or has causes that are not yet understood. In OAB, a partially filled bladder contracts suddenly resulting in the urge to urinate, and no cause is found for repeated and uncontrolled bladder contractions. When OAB causes disrupted sleep, interferes with normal life, or prevents one from enjoying social engagements, it’s time to seek solutions. 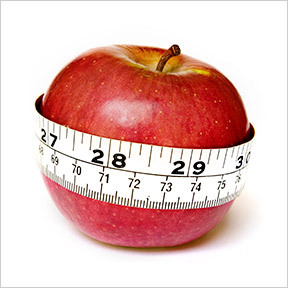 Barring diagnosis of a health problem, OAB is often initially addressed with lifestyle changes. Try Kegel exercises. Strengthening the pelvic floor muscles that support the bladder and other internal organs helps with urinary incontinence. To identify the muscles, try to stop urination midstream. Once you have correctly identified the muscles, these exercises can be done discreetly just about any time. Repeatedly squeezing, holding for a count of five and then relaxing the muscles tones and strengthens the pelvic floor. For best results, start with an empty bladder, work toward holding for a count of 10, and aim for three sets of 10 repetitions daily. Kegel exercises are recommended for both men and women to help with urinary incontinence and to prevent potentially embarrassing leakage. Adjust your fluid intake. You need to drink a proper amount of fluid daily to maintain healthy bladder function. Ideally, urine should be almost clear or very light yellow. For some, this will mean reducing fluid intake, and for others, increasing intake. When you don’t take in enough liquids, it can lead to darkly colored concentrated urine and result in bladder irritation. In this case, it’s best to slowly increase fluid intake to reduce the irritation, as well as sensitivity. If you are getting up several times each night, you may need to cut back on fluids, especially in the evening. Minimize bladder irritants, including caffeine, alcohol, artificial sweeteners, and carbonated drinks. Consider bladder training. Lengthening the time between trips to the restroom can help to increase the amount of fluid the bladder can hold and diminish the sense of urgency. Regularly performing pelvic exercises can greatly increase the chance of success. Bladder training is not easy but ultimately, it can get you on a regular schedule of 3 – 4 hours between visits. Begin by suppressing the urge for 5 minutes or as long as you can. Continue to incrementally increase the time you can wait. After 6 -12 weeks, you should notice progress, but keep practicing! Supplement with Pumpkin Seed Oil. Studies have shown that orally administered pumpkin seed oil extracted from Cucurbita pepo significantly reduced urinary dysfunction in OAB within 6 – 12 weeks. Pumpkin seed oil is rich in vitamins, linoleic acid, oleic acid and microelements. Clinical trials involving 2000 men with benign prostate hypertrophy (BPH) showed considerably improved urinary dysfunction with no undesired side effects. And of course, exercise. Studies show that middle-aged women who are physically active are less likely to develop incontinence. Exercise and a healthy diet that supports weight loss and maintenance helps to relieve incontinence, as carrying extra weight puts undue pressure on the bladder. For some, it might be best to avoid high impact exercise or weight lifting. Walking and swimming are good exercises for both men and women with symptoms of OAB. Avoiding caffeinated beverages for several hours before exercising is helpful, but do continue hydrate with water. Urgent-Less™ by Priority One: This product provides highly stabilized Go-Less® pumpkin seed oil extracted from Cucurbita pepo in support of improved urinary function. Contains soy. U-Tract® by Progressive Labs: This powdered formula provides D-mannose, a naturally occurring simple sugar that supports urinary tract health. D-mannose helps to prevent urinary tract infections by coating bacteria that stick to urinary tract walls, allowing bacteria to be washed away. Excreted through the kidneys, very little D-mannose is metabolized, preventing interference with blood sugar regulation. U-Tract Caps™ also available. Flow-Less by Allergy Research Group: This blended formula provides pumpkin seed extract and soy isoflavones to support healthy bladder function and reduce occasional urinary urgency, allowing for more restful sleep. AZO Bladder Control with Go-Less® by AZO: This naturally sourced blend of Go-Less® pumpkin seed and soy germ extracts provides a safe and drug-free way to reduce the urge to urinate. Specific ingredients support bladder control function and help to limit nighttime trips to the bathroom. This product should be taken for minimum of 30 days to realize the full benefits. Gluten and yeast free, Non-GMO formulation. Bladder Support, Q. by Quantum Nutrition Labs: This popular botanical product provides powerful, broad-spectrum nutritional support for bladder and urinary tract health and function. Gluten and lactose free, vegan formulation.